I saw this in Winners and a smaller version of it... So of course I had to make it for the little store! The one is 6' tall and 2' wide. 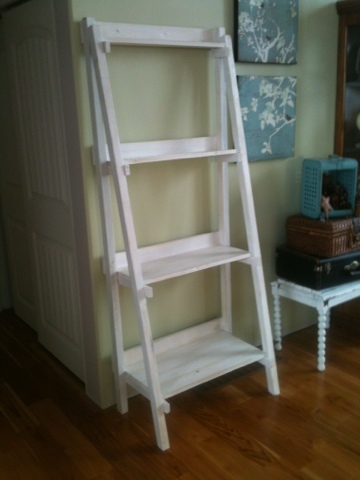 The bottom shelf ended up being 16" wide, which is just perfect for baskets of plants or vintage suitcases! Love it!